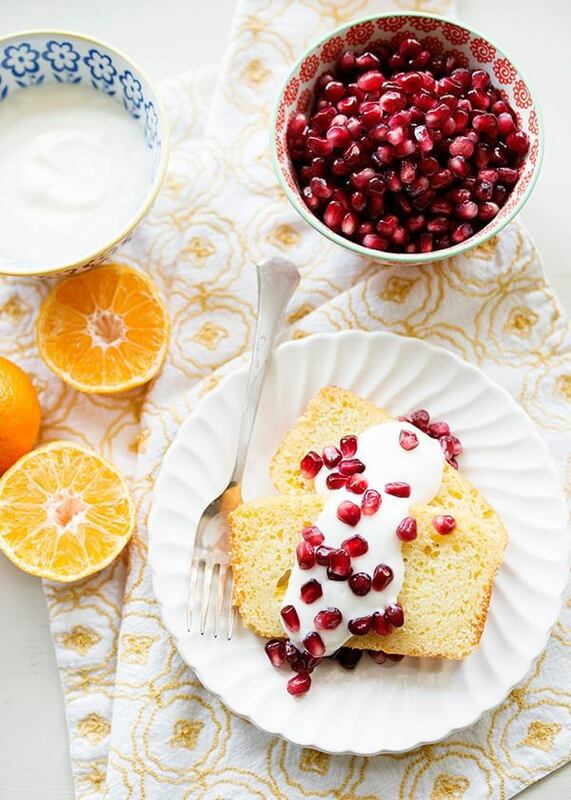 Clementine Yogurt Olive Oil Cake is perfection for breakfast or dessert. Simple and with a hint of vanilla and citrus. 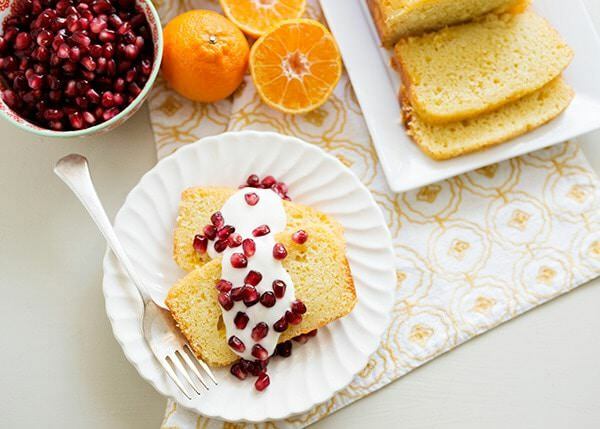 I found this recipe for Clementine Yogurt Olive Oil Cake in the Washington Post and 5 minutes after reading it, Clay and I were in the kitchen pulling out the ingredients. It’s a Dorie Greenspan recipe so I knew that it would be delicious. Her recipes are always perfect. I love cakes made with olive oil. Not only are they easy to make (no softening butter or mixers required) but they have a nice floral note. They are simple, but feel fancy. 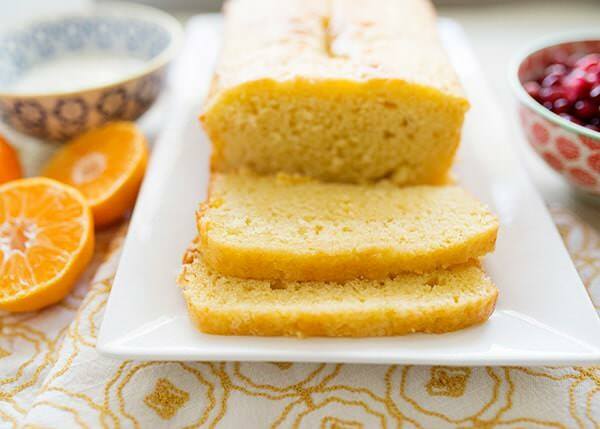 She describes this cake like a pound cake with subtle orange and vanilla notes. A few years ago I went to Italy and we stayed in a gorgeous villa in Perugia. Every morning they would serve thin slices of a cake just like this one with fruit and yogurt, along with cheeses and prosciutto. It was a great way to start the day. 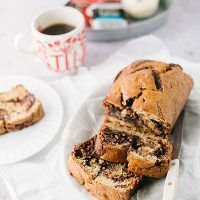 This cake is the closest I will ever come to recreating those simple, but perfect breakfasts. This is a great recipe to make with children. All you need is two bowls and a spoon. Clay helped me measure and whisk, and the cake was in the oven about 10 minutes from when we started. This cake tastes even better a day or two after you make it. (I sliced into it on Day 4 and it was still moist. The next day, I toasted it and it was incredible.) Her recipe calls for clementines, but you don’t have them, use an orange. The key is to rub the zest into the sugar to release the oils. It makes a huge difference in flavor. Her recipe calls for clementines, but you don’t have them, use an orange. The key is to rub the zest into the sugar to release the oils. It makes a huge difference in flavor. I served it with some vanilla yogurt and pomegranate arils. I also think it would be amazing with orange segments and mint. I would definitely make a few loaves of this cake and keep them in the freezer for just in case. It would be great as a base of a trifle, or grilled in the summer. So many possibilities for this simple cake. 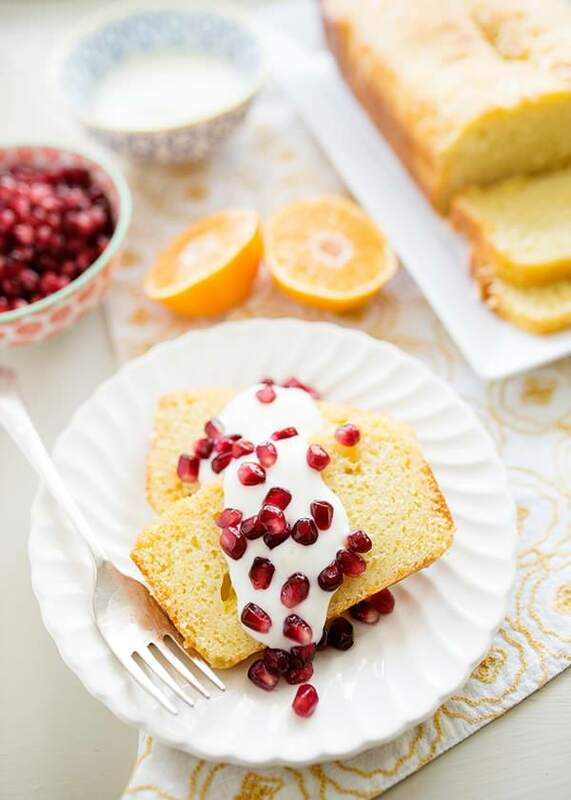 A simple and elegant cake, Clementine Yogurt Olive Oil Cake. This cake is very similar to a pound cake. If you can’t find clementines, use an orange instead. Preheat oven to 350°. Spray a 8.5×4.5 loaf pan with baking spray. Add sugar to a bowl. Use a microplane to zest clementines over the sugar. Use your fingers to rub the zest into the sugar until the oil is released and the sugar is fragrant. Peel the clementines and cut in between the membranes and pull out the fruit. Place on a paper towel. Set aside. Whisk the yogurt into the reserved sugar mixture. Whisk eggs in one at a time, beat vigorously until smooth. 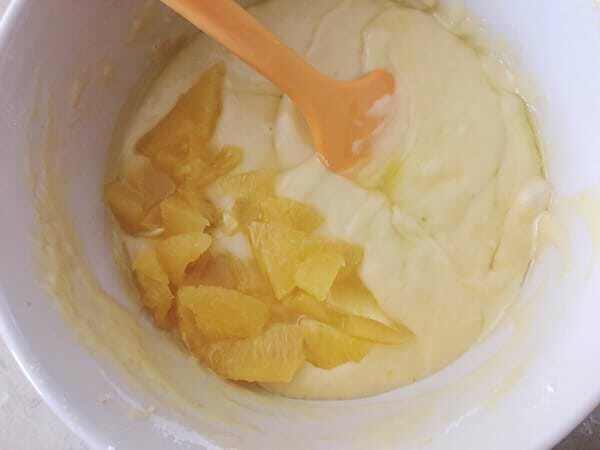 Add vanilla and orange extract. Add the dry ingredients and whisk until you cannot see any trace of flour. Switch to a rubber spatula and stir in the oil. Add the clementine segments. And stir until just combined. Pour batter into prepared loaf pan. Sprinkle with sanding sugar. Bake for 50 to 60 minutes or until a toothpick comes out clean. Transfer to a wire rack to cool for 5 minutes, then remove from the pan and cool completely. Wow, this looks incredible! I don’t know if I’m totally out of the loop, but I’ve never heard of using olive oil to make cake! I’m definitely going to have to try it! Lots of European recipes call for olive oil. It doesn’t taste like olive oil really, but it is super moist. I have never used olive oil or orange segments in a cake but i thought i would try it just because you put it up and im glad i did. It was a lovely. A bit of a hard crust on top but tasted so original. 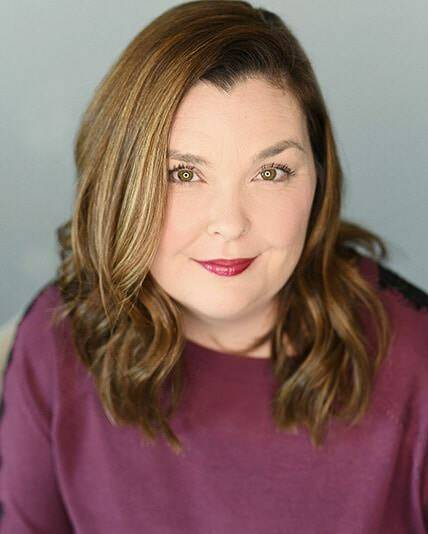 Thank you, Bree! I am so glad that you liked it. I like the crust, I like the different texture. This is YUMMY!! The pomegranite idea is the perfect touch to this whole dessert. It is fluffy, refreshing, and delicioussss!! Hello Bree, I don’t often comment on blogs, but I did want to comment here just to say that I tried this recipe, and it came out so amazing beyond my expectations. 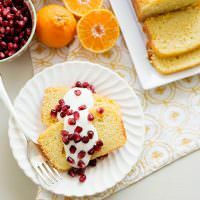 I was looking around for a clementine pound cake/quick bread recipe and as soon as I saw the ingredients, I knew this was the one. I was a little worried about the taste of the batter after adding the olive oil, but after it finished baking, what came out was a ridiculously yummy loaf. It was barely detectable, but showed it’s importance as a part of the overall flavor. The clementine flavor is light enough so it doesn’t taste like some artificial grossness, and the texture is very nice and smooth. Thank you for sharing this recipe!! I am so glad, I love this cake too. So simple and clean.